You invest a lot of time, effort, and money into owning and driving a vehicle. It’s one of the most significant purchases you’ll make, so it’s essential that you take proper care of it. You need your INFINITI coupe to last for several years, but if you neglect maintenance and services in Terrytown, LA, it will fall short of your expectations and falter. There are some simple guidelines and rules you should follow to ensure your coupe runs smoothly well after its first few prime years. You have many needs to fulfill each day, and your INFINITI coupe will help you take care of these. You want to be careful, however, not to put too much wear and tear on your vehicle or it can start to show signs of age sooner than later. Driving fewer miles will add to your vehicle’s life. This doesn’t mean you need to make things more inconvenient, but you should try to combine multiple trips and find ways to cut back on how often you drive. Of all the maintenance services your vehicle needs, oil changes might be the most frequent and the easiest. You can do this task yourself, if you have the skill, or you can take your coupe to a qualified lube technician in Terrytown, LA. You should change the oil in your new INFINITI about every 5,000 to 6,000 miles. Older cars require this service more frequently—about every 3,000 miles. Oil changes will remove the dirt and sludge from your engine, helping it to run more smoothly and efficiently. You can take care of this task when you change the oil. In general, you need to replace the air filter of your INFINITI coupe at every other oil change. Of course, pull it at each lube service and change it sooner if necessary. A clean air filter not only helps your engine but can improve your gas mileage too. With so many responsibilities and obligations in Terrytown, LA, cleaning your car might not be on the top of your list. Believe it or not, consistent car washes and vacuuming can do wonders for your coupe. A car wash can fend off rust, and a clean interior will keep mold, mildew, and other harmful materials at bay. 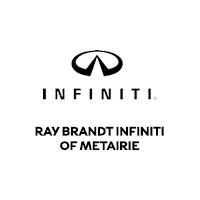 The service team at Ray Brandt INFINITI is a great resource for extending the life of your INFINITI coupe. As you own and drive this car in Terrytown, LA, keep these helpful tips in mind.